WINTER STARTS HERE and we’re proud of it! It’s a four day extravaganza of Queenstown’s unique culture and community with street parties, fireworks, international and local acts, comedy, family fun, and plenty of Mountain Mayhem. Town will be a-buzz with people celebrating the arrival of winter in true Queenstown style. 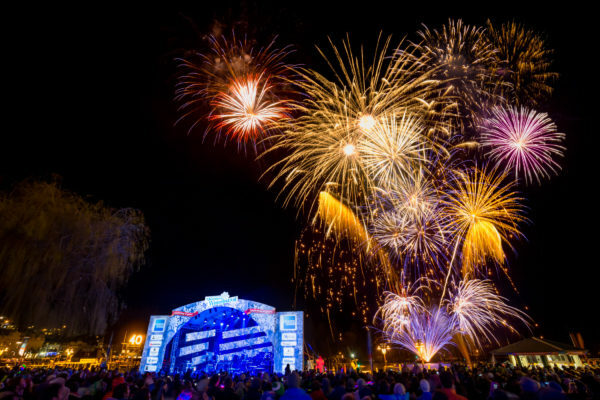 Icons don’t just happen overnight; the Queenstown Winter Festival celebrated its fortieth anniversary in 2014! Way back in 1975 a bunch of locals decided that the start of winter was a great excuse to have a party. They organised races on the mountain and in town, lollies for the kids, beers for the grown-ups, a concert or two and a town-wide ball, all of which made the Festival a great success. News spread quickly and the next year people came from further afield to join the festivities. Since then the Festival has evolved into New Zealand’s – and perhaps the southern Hemisphere’s – biggest celebration of winter. Avoid the traffic and take the lake! Make your journey over to Queenstown on the Water Taxi’s this weekend. We will be running them as late as 10pm so don’t miss out!